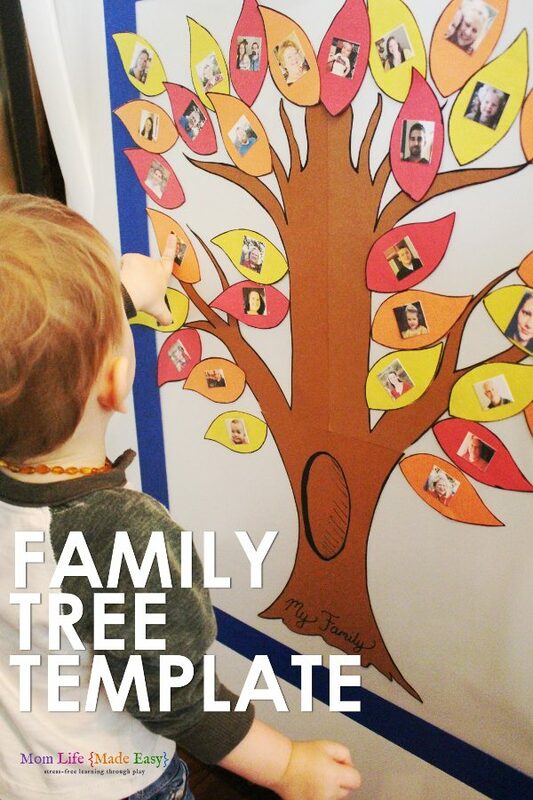 This easy, magnet free, family tree fridge game is the perfect way to help your children learn to easily identify family members! It uses only contact paper to hold the leaves, and is a wonderful activity for toddlers and preschool children! My brothers live several hours away from us, and as a result we don’t get to see them very often. 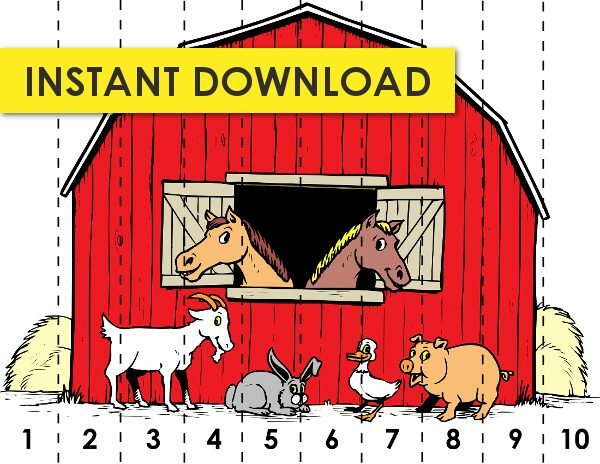 You might guess for an 18 month old this poses a problem for him getting to know them! He even gets scared when we are around them, which breaks my heart. They want to hold him and play with him, but he won’t let them because he doesn’t know them! Obviously this needed to change! 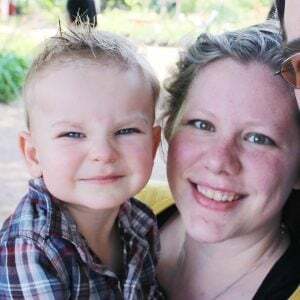 So I put my thinking cap on to see if I could come up with a fun activity that would help him learn his family members without just sitting down to a photo album… which as you can imagine doesn’t really hold the attention of an 18 month old for long! Finally I settled on the idea of a fridge game where I could say a name and he would point out the people! 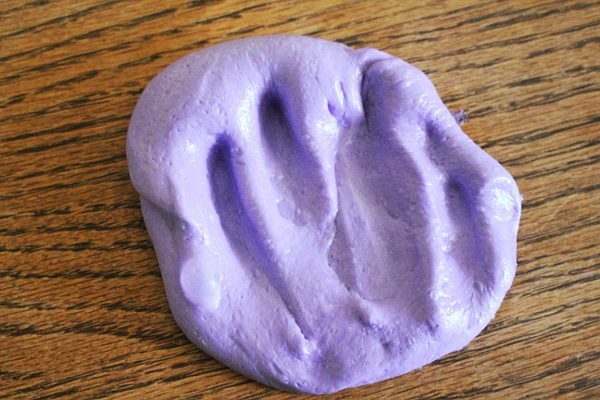 But I wanted to make sure it was magnet free so there was no risk of him swallowing anything… That’s where my handy-dandy contact paper came to the rescue! All together, this craft took me about an hour to put together and has yielded HOURS of fun for my son! 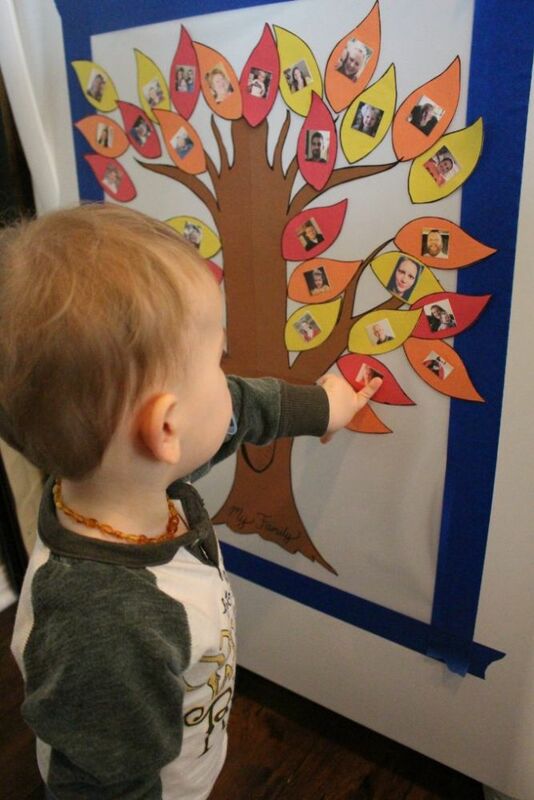 He can point out all of the family members on the tree now, and loves taking the leaves off and putting them back! I ended up drawing a simple template for myself and then transferring it to brown construction paper before putting it on the fridge. Grab the template at the bottom of this post! Print pages 1-3 for the tree only (page 4 is the leaf template). 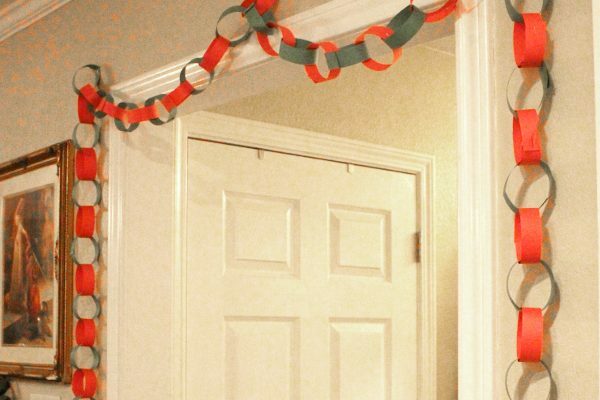 Before you print though, make sure to cut your construction paper down to size! You can see here that the construction paper is just a bit larger than a regular letter size sheet of paper. I just lined up the bottom corner of the white paper on top of the construction paper and cut around it! It worked perfectly and fit in my printer with no problems! 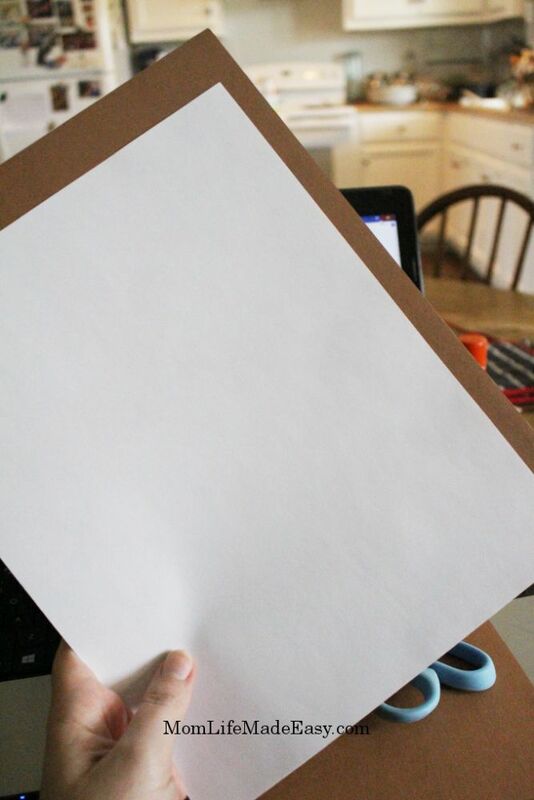 For this template you need 3 sheets of brown construction paper. 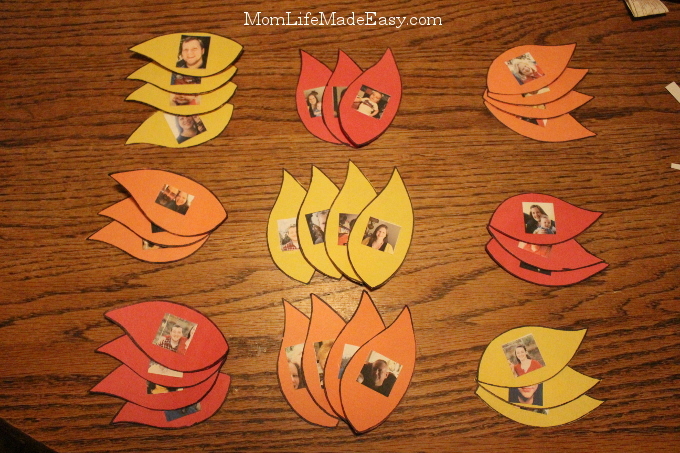 Using the same template as the tree (print page 4 only), you can print 10 leaves at a time. We did 1 full sheet of each color (red, yellow, and orange construction paper) to create a fall tree. But you can do a few different shades of green construction paper to make a spring/summer tree! Then on to each leaf I glued a 1 1/2 inch square picture of each family member. I ended up doing 3 photos of each person to give him more leaves and more options for the game! You can create the images in a free online editing program like PicMonkey.com or in Photoshop if you have access to that. Just make sure that the face fills most of the area, since the photo will be small. You don’t want to print a picture of someone’s entire body at only 1 1/2 inches. You’re baby won’t be able to make out the face! I also made sure that I had the leaves facing to the right, left, and top respectively (see below). This makes placing them on the tree make more sense! 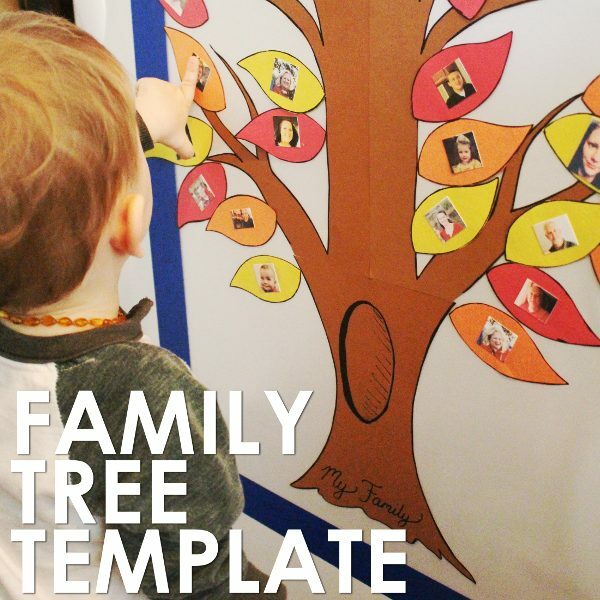 This family tree activity is an instant download! Grab it today! Once you have all your pieces made, it’s time to get it up on the fridge! 1. 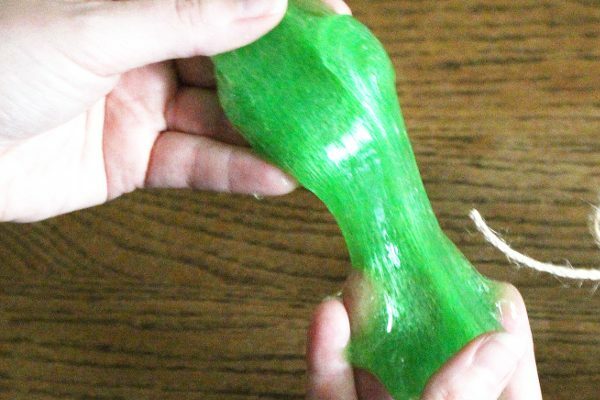 Cut a 30″ piece of contact paper and start to peel the paper back (about 2 inches only). 2. Place a 2 foot strip of painters tape at the top of the section where you want the contact paper to end. Only press down on the TOP edge of the tape and allow the bottom edge to remain off the fridge. 3. Slide the contact paper STICKY SIDE UP under the tape and press the tape down to secure the contact paper. 4. Estimate where the bottom of the contact paper will end and place a 2 foot strip of painters tape along that line. Press only the BOTTOM edge of the tape to allow the paper to slide under the top edge. 5. Continue removing the paper from the contact paper and slide the edge STICKY SIDE UP under the top edge of the tape. Press to secure tape. 6. Add additional tape to the sides of the contact paper and press to secure to fridge. 7. 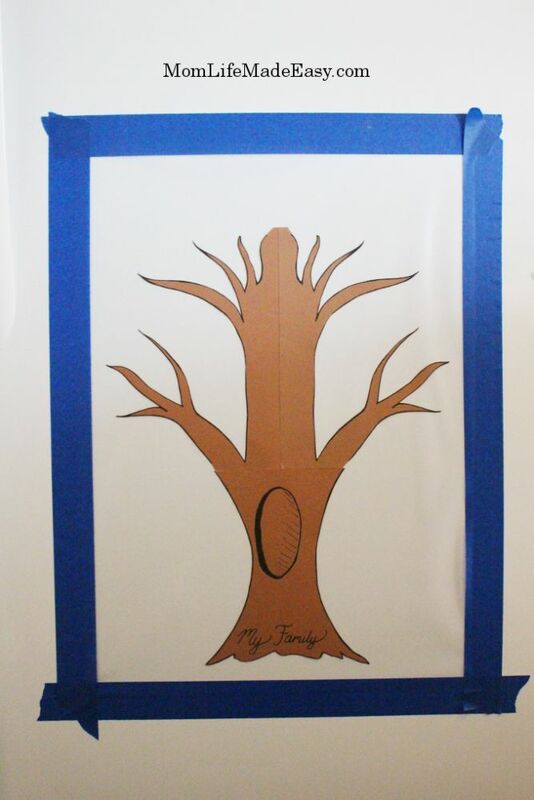 Add tree template to contact paper, making sure to leave room for the leaves at the top and sides. 8. Add leaves and play! 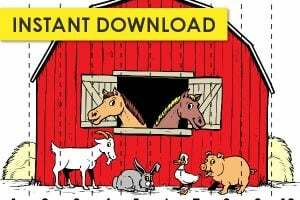 I AM HAVING TROUBLE DOWNLOADING THE FAMILY TREE. I HAVE SUBSCRIBED BY SUBMITTING MY EMAIL ADDRESS TO RECEIVE THE NEWSLETTER. AND I HAVE CHECKED SPAM MAIL. Hi Felice, sometimes it’s just slow or gets stuck in a hidden folder 🙂 I’m sorry about the frustrations! I just sent you an email with the password in it. Thank you! How are the leaves stuck to the tree? Hi Alicia! The entire project is stuck to contact paper which is taped to the fridge 🙂 But if you didn’t want the leaves to move, you can always just glue them to paper and tape the paper to the fridge. We love having the contact paper though, it makes a really fun activity for little ones in the kitchen while mom cooks!